Emily Nield (27) of Ontario, Canada, attends college in the United States. She was driving from Georgia to Tennessee when a cop pulled her over for speeding. The officer asked for her license and things quickly went downhill from there. "She kept saying, 'No, Canadian licences are not accepted,'" said Nield. "I was flabbergasted. I just kept saying this can't be right — a Canadian license is always valid." Nield told CBC Toronto she was then asked to prove she was Canadian and although she had copies of her passport, Nexus card, and birth certificate on her phone, the officer wanted to see an original hard copy. "When I failed to produce it, she reached through the window of my car and she put handcuffs on me," said Nield. "She told me that I have just been arrested for driving without a licence and that I needed to go to jail." 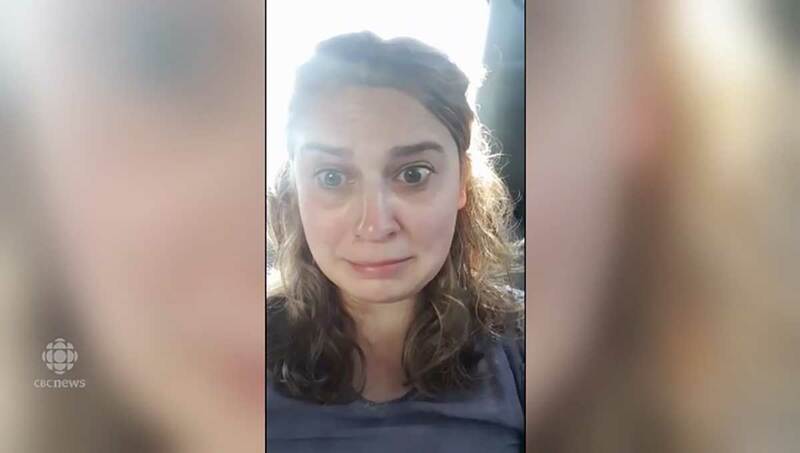 In the back of the officer's cruiser Nield managed to take a video on her cellphone and send it to friends on SnapChat. Nield was taken to jail and released on $880 bond. Three days later, a judge dismissed the charge. The probate court solicitor said he will erase her arrest record, which could take a couple of weeks. The Georgia Department of Driver Services website states, "non-U.S. citizens holding a valid foreign driver's license are allowed to drive in the state of Georgia."